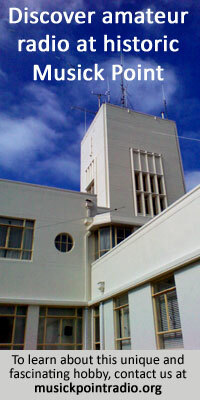 “The radio station at Awanui, by reason of its semi-isolation, is comparatively more costly to run than would be the case if it were situated nearer to the main lines of communication and the main centres of civilisation,” states a clause in the report of the Chief Telegraph Engineer to the Postmaster-General upon his recent European trip. “Its situation is such that it is easily vulnerable from the sea, which is an undesirable feature when it is considered that this is our most important long-distance transmitting station, and is responsible for maintaining communication with Samoa, and the Cook Islands. This is a subject which, while abroad, I discussed with a number of interested authorities, and it was generally recognised that if placed, say, in the centre of the North Island, near to the Main Trunk railway, its reliability of operation, particularly in time of war, would be greatly enhanced, and at the same time the station would be brought closer to the main centres. This would be a distinct asset both from the point of view of annual charges and of linking up the station with the principal land lines of the North Island.